Reduce Employee Cybersecurity Risks for Boston-based Business – Synivate, Inc.
A recent study revealed that nearly 75 percent of employees don’t have the knowledge or understanding necessary to prevent even the most basic cybersecurity incidents. It is estimated that businesses in the United States are losing billions of dollars each year due to employee cybersecurity risks. The more you can do to train your staff to prevent cyber incidents and offer support through services available with Greater Boston managed service providers, the less likely you will be to experience such an attack. The study, which was conducted by Media Pro, surveyed more than a thousand employees around the United States to find out how much they knew about cybersecurity and privacy issues. Sadly, the results were worse than they were the year before, with nearly three-fourths of all respondents earning a “risk” or “novice” profile. This survey reveals that the behaviors of these employees put the companies that they work for at risk of a cyber attack. In addition, the information surrounding this study revealed that cyber attacks in American cost businesses on average $7.91 million. This is unacceptable. Synivate offers dependable IT services and support to help our clients stay ahead of cybersecurity risks and attacks. Our consulting services can help you find the best solution to protect your business and establish a disaster recovery service protocol so you can recover and get back to work right away. Our backup solutions, hosted applications for a fully managed private cloud service, and cloud computing solutions can help to improve your business’s efficiency and security across the board. Unified communications solutions range from fully converged VoIP to IP systems, depending on your needs. You might be surprised to discover what some of the most significant employee cybersecurity risks are that pose such a financial loss and danger to companies. 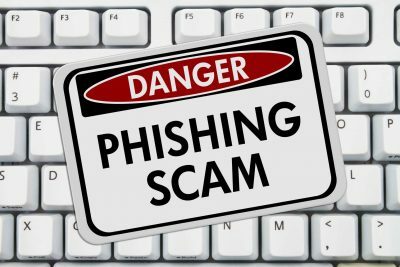 Phishing emails, which security experts have been warning about for many years, are becoming more difficult for employees to identify. The only way to prevent cyber incidents that come from external phishing emails is to educate staff to reduce the risk. Social media is seen as another major risk fact, with many employees making poor choices and decisions, such as sharing company data and product information that should have been kept in-house. As cyber attacks and criminals develop smarter strategies and use more sophisticated ploys, a need for improved network security and employee training grows. Some of the most serious threats to today’s companies come from cyber attacks. It is more important than ever before to take control of your network security through the services of Greater Boston managed service providers. Even small businesses have been attacked and threatened by criminals over the internet. You need to do everything you can to have a disaster recovery service plan in action and protect your relevant data and essential records. Our network security services can help you enact a comprehensive system for detecting and blocking viruses, malware, ransomware, and other methods for cyber attacks. The more you can do to prevent attacks by making it harder for criminals to even access your IT system or network in the first place, the better. Working with consultants through Boston managed service providers can help reduce employee cybersecurity risks by eliminating the threat before it even arrives in their inbox. Some of the methods used to thwart these types of attacks include software updates for outdated operating systems, software, and applications; performing software upgrades when a patch is no longer available to fix any known vulnerabilities or issues; and providing firmware updates for computers and peripherals, which should be updated regularly. While phishing and spear phishing attacks have been around for a long time, criminals still benefit from employee cybersecurity risks, such as lack of knowledge or user error. The information that they gather can be used to either steal money or take essential corporate data, which can be used for financial gain. Today’s attacks are even more sophisticated than they were in the past, making it harder for employees to spot deceptive emails. To learn more about our education and support programs, as well as our disaster recovery service options, give us a call at 617-517-0704. Protect what matters most with professional services from Synivate.